Nigerian community in U.S. mourns Osotimehin – Royal Times of Nigeria. 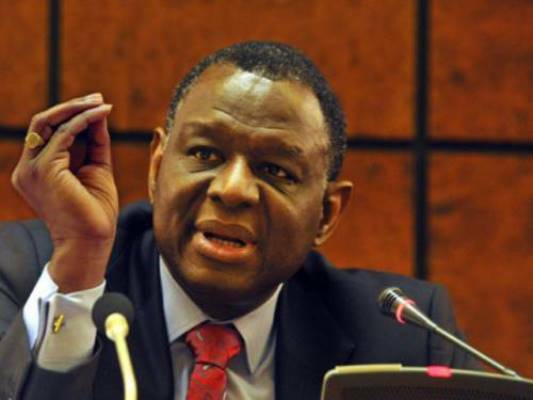 The Nigerian community in the U.S., Organisation for the Advancement of Nigerians (OAN), has expressed sadness over the death of Prof. Babatunde Osotimehin, the Executive Director of UN Population Fund (UNFPA). Osotimehin, a former Nigerian Minister of Health, died on Sunday night in New York at the age of 68. OAN dedicates efforts toward enhancing the image of Nigerians in the U.S. and addressing the negative stereotypes of Nigerians in the American media. It has been highlighting the positive contributions of the vast majority of Nigerians to the American society since 1989. In a statement in New York on Wednesday, OAN President Solomon Bakare said the late UNFPA chief spent his life fighting for access to public health for women and girls across the world. “The president and members of Organisation for the Advancement of Nigerians (OAN) were saddened by the sudden death of Dr Babatunde Osotimehin, the UNFPA Head and former Minister of Health. “He was a selfless and fearless leader who spent his life fighting for access to public health for women, girls and children across the globe. “His contribution to global public health is forever engraved in the hearts of many lives he helped to save. “We thank his family for sharing Dr Osotimehin with the world; and we pray that God will comfort you during this difficult time. “May the patriotic and humane soul of Dr Babatunde Osotimehin rest in perfect peace,” Bakare said. Osetimehin was also a Director-General of the National Agency for the Control of AIDS (NACA) in Nigeria.